When Jessica Childress was a second-grader in Chesterfield, she would watch the evening news with her parents. There was a woman, she said, who kept appearing in the nightly broadcasts with Tom Brokaw. Her name was Janet Reno, President Clinton’s attorney general, and Childress wanted to know what she did. So one evening, her father pulled down a book from the family’s World Book Encyclopedia series and she and her dad read about lawyers. That’s when Childress knew she wanted to be an attorney. But there were no lawyers in Childress’ family, so Reno was the only image she had. A few years later as a fourth-grader, she went to the library and checked out a book from the popular American Girl series – this one about a young girl named Addy, whose family had escaped slavery to begin a new life in Philadelphia. 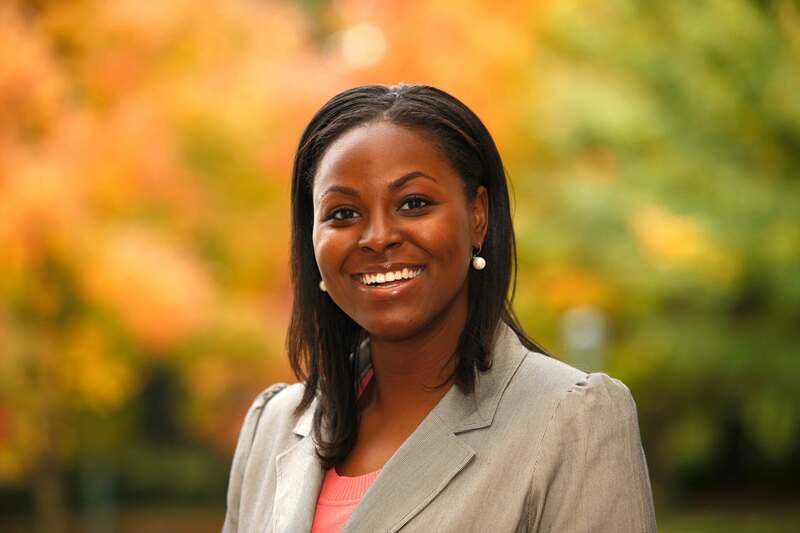 So after earning a degree from the University of Virginia in government and African-American and African studies in 2007 and another degree from UVA’s School of Law in 2010, Childress married her loves of law and reading to become a children’s author. Thus was born Juris P. Prudence, an 11-year-old African-American lawyer. “I wanted to create a character who was someone I could identify with – a lawyer – and I wanted kids to be exposed to law at a younger age and exposed to positive images of diverse women in the law,” Childress said. “The Briefcase of Juris P. Prudence” is the first in a planned series of books targeted toward children ages 7 to 12. The first page of the book explains what Juris’ name means – that jurisprudence is the study of law. Childress said she came up with the name while brainstorming with her mother, a lifelong educator who graduated from UVA’s Curry School of Education. Childress’ first book is about children getting the right to vote. “I wanted kids to walk away knowing a brief history of voting rights and knowing what the 14th Amendment meant,” Childress said. “It really has no political intention. There are some interesting parallels between what is going on in the world and what is going on in the book,” but the author began writing years ago, after earning her law degree. The book has been well-received. “I have heard from readers and the reception has been overwhelmingly positive, from both parents and kids,” she said. Childress, who practices employment law in Washington, D.C., recently launched the Juris P. Prudence children’s content company, with the social mission of exposing children of diverse backgrounds to the field of law at an early age. In future books, Juris and her sharp legal team of Sophie, Izzy and Maddy, may argue for longer recess periods or help their friends open businesses. Childress has also released a Juris Prudence coloring book, postcards and the Juris Prudence Case Kit, which gives kids the tools to hold kid-friendly mock trials.